Condair offers a wide range of industrial humidifiers for just about any application big or small. 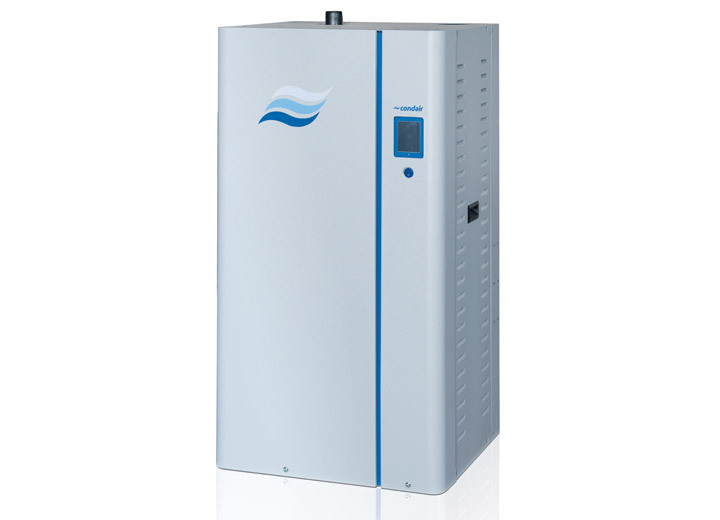 GS Series | The GS gas-powered steam humidification system is the industry’s first fully condensing and efficiency-leading humidifier. 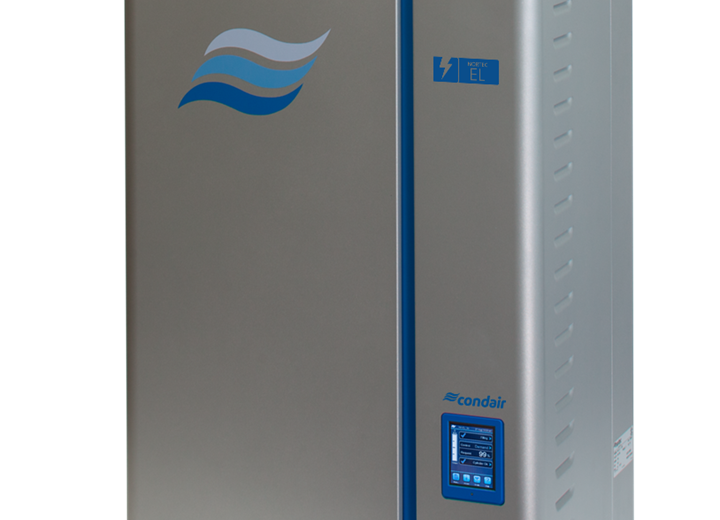 With over two decades of experience in manufacturing gas-fired industrial humidifiers, Condair always strives to build on past inventions to create new and true innovation that embraces design and functionality. The latest GS series highlights every single one of Condair’s high priority objectives and customer values while incorporating them all into our most efficient series so far! EL Series | The EL Series electrode steam industrial humidifiers offer complete application flexibility to systems engineers, contractors and customers needing a commercial / industrial humidifier. They can be integrated into central Heating/Ventilating/Air Conditioning (HVAC) systems or placed in specified locations for individual room control. Models are available to serve small or large areas with outputs of 5 - 200 lbs/hr. SE Series | As a fully packaged humidifier powerhouse, the SE Series includes all required parts and components, most of which will be delivered within the cabinetry. With our customers in mind, this humidifier line was created for worry-free installation, reliable function, and fast maintenance. It is designed for seamless and simplified user operation, and all parts are constructed of high-grade materials to ensure that they last for years, if not decades, to come. These industrial humidifiers are available in booth indoor and outdoor models. Contact us today for discuss which of our industrial humidifiers would be ideal for your next project.